Please excuse my English Major tendencies, I can’t help myself. To explain my teaching philosophy, I must first explain feminine narrative structure (this will make sense, hang in there). Everything in life is a narrative, school is no exception. Aside from the sexual implications regarding the climax and immediate “falling” action, this structure just does not work for me. It’s too linear, too limiting, and does not encourage continuity. The feminine narrative branches out in loops, always returning to the center; the tip of each petal acts as an individual point of excitement or pleasure or satisfaction. The shape of the narrative is a circle, cyclical. Everything is connected. The center point (a significant figure, place, or theme) propels each new narrative forward and supports it lovingly on its return back. Generally, it is a more nurturing, calming, yet dynamic plot structure as compared to the masculine (in my opinion). My class will function as such. 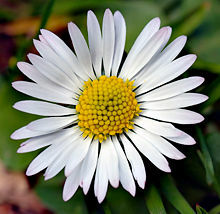 As an English teacher, the center of my educational daisy is expression. No matter what branches we embark on as a class– be it punctuation, sentence structure, essay writing, vocabulary– I will connect that lesson back to expression. It is important to me that my students open their mouths and speak, so I will require it of them: you don’t speak, you don’t get an A. Quite literally, my classroom will be a circle. On days designated for discussion, we will sit in a circle (Socratic dialogue anyone?). In the grander sense of content organization, I will also organize my curriculum cyclically. The last thing we study will connect to the first, and everything else in between. My job as a teacher will be to make those connections apparent to my students. I believe in emotion, especially in the study of literature and poetry. It is important to me that each student feels comfortable to express emotion in my classroom. Since I intend to teach high school, a time when students are changing, exploring their sexuality, and embarking on their first tastes of adulthood, I think this freedom of expression is crucial and healthy for their development. One of my most memorable experiences in my education was listening to my high school English teacher read aloud (I still remember that it was Whitman’s Whoever You Are Holding Me Now in Hand), her voice cracking, watching the tears roll down her cheeks. We all cried along with her. For that instant, we were all united and equal in the power of words; it was a shared experience (Dewey 1938). I am already semi-aware of my teaching philosophy because of my experiences in the fitness industry. I have worked in a few gyms and personal training studios, and in each place I have consistently been referred to as “The Hard One.” I enjoy challenging people. Let me toot my own horn here and also say that I am usually the trainer with the most positive feedback. Students (humans) crave a challenge. There’s nothing wrong with being “hard,” being direct, having high expectations, and that’s just the person I am. My theory is you can be hard so long as you’re funny. And I’ve got that covered. Now that I am delving into my own philosophies, I find myself understanding Dewey more, and agreeing with him. What I have expressed above, i.e. being free thinking and free feeling while maintaining my status as “hard,” falls in line with Dewey’s thoughts regarding educational plans and projects within progressive education. Which is to say, it doesn’t matter how progressive you are, you still need to plan, still need to have structure, still need to challenge the students; otherwise, to use Dewey’s words, “they [the students] are at the mercy of every intellectual breeze that happens to blow” (Dewey, 1938, p. 51). I hope to act as a windmill to these intellectual breezes; taking my students’ wild whims and channeling them into something productive. I want my students to leave my classroom feeling inspired, challenged, and with a good joke or story to tell. I want to see their minds bloom like daises before my eyes. Dewey, John. (1938). Experience and Education. New York, NY: Touchstone.